It is a brand new start for the iconic danish company Lyngby Porcelean. Lyngby was founded in 1936 in Kongens Lyngby, Denmark and manufactured dinnerware, vases and other decorative objects of high quality. A few years ago the brand was revived and it is now one of the strongest lifestyle brands in Scandinavia. The factory managed to leave a large footprint due to its unique and distinctive designs that elegantly combined noble craftsman­ship with modern techniques and a focus on form and function. This strong legacy and timelessness is still the cornerstone of the brand and today Lyngby Porcelæn perfectly balances being a heritage brand as well as a sought after lifestyle brand. In the post war era in Denmark, Lyngby Porcelæn was the same size as both Royal Copenhagen and Bing & Grøndahl. 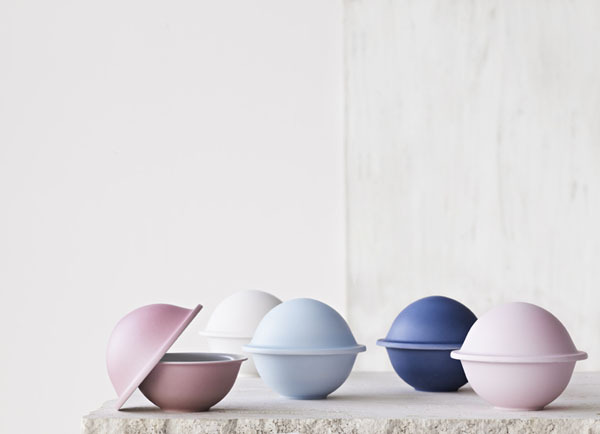 Lyngby Porcelæn is again behind the launch of their iconic designs, which are brought back to life with the utmost care and reverence for their place in the history of Danish design. Besides launching these classic designs we also wish to identify and develop designs of today. With its white glaze, cylindrical shape and sharply defined ridges, the Lyngby vase is beautiful in all its simplicity – the epitome of less is more. 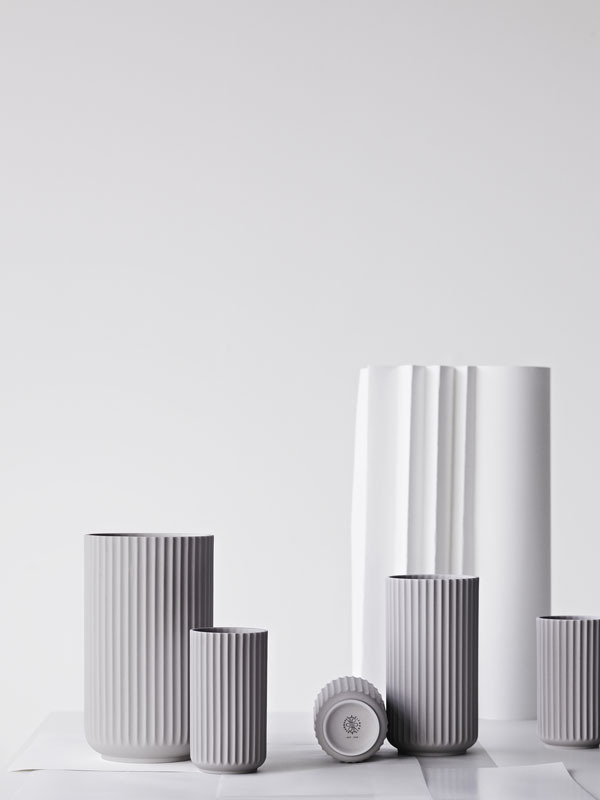 Fans of the popular vase series will probably agree that the vase is even more beautiful in numbers, and now there are plenty of opportunities to supplement your collection as Porcelænsfabrikken Danmark – Lyngby Porcelæn adds five new vases to the range – in sizes S–XXL! For many, interior design is more than just a hobby, it’s a passion. Home decors are no longer permanent set-ups, but rather the product of a dynamic process where we find inspiration in new purchases and combining things in different constellations that play with the customary use of items. This is also true for the vase, in particular the Lyngby vase, which has achieved cult status as a design object and is often used in the home for more than just flowers. This season, Porcelænsfabrikken Danmark – Lyngby Porcelæn welcomes five new members to the popular vase family, setting the scene for a “white winter” with a wide variety of decorating options throughout the home. 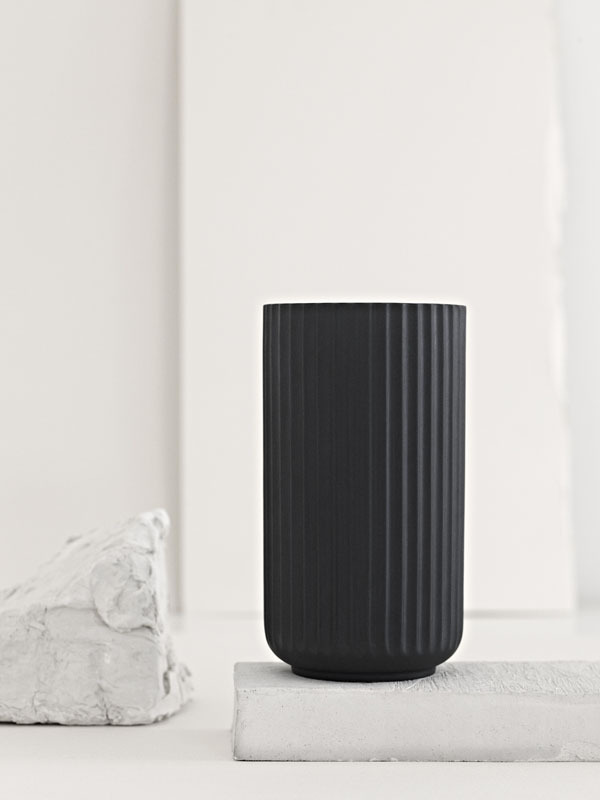 Since the original production from 1936 to 1969, the Lyngby vase has been available in several sizes. The monumental “supersize” vase has been an especially coveted collector’s item, and with the expansion of the Lyngby family this autumn to include the sizes 8, 10, 12, 31 and 38 cm, everyone will finally have access to the many possible combinations and all the sculptural potential. Group three, five or eight vases together on the floor, table or steps and create a unique architectural statement. Or create a sense of depth and abundance in a space by organising one or more vases in a tableau in front of an old French mirror. White-on-white or with a single element from the new range of black vases. The Lyngby vases in various sizes are, of course, also perfect for using on their own to bring beauty to many of daily life’s rituals – for flowers, holding pens on a desk, keeping make-up brushes in order, displaying flowers on the floor or, in genuine art deco style, as the ultimate umbrella stand that turns a rainy day into a design statement. The bonbonnière is fast becoming an interior design must-have – for serving, storage and decoration. 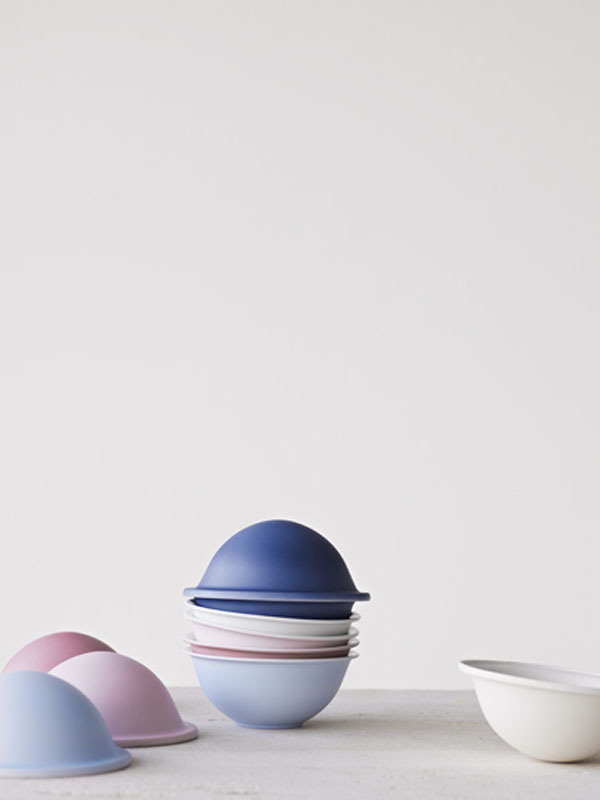 With its simple design and beautiful functionality, the bonbon dish is the ultimate lifestyle object, and this autumn Porcelænsfabrikken Danmark – Lyngby Porcelæn can add the Chapeau dish to its design universe of cylindrical ridges and organic ovals, classic re-discoveries and modern new creations. 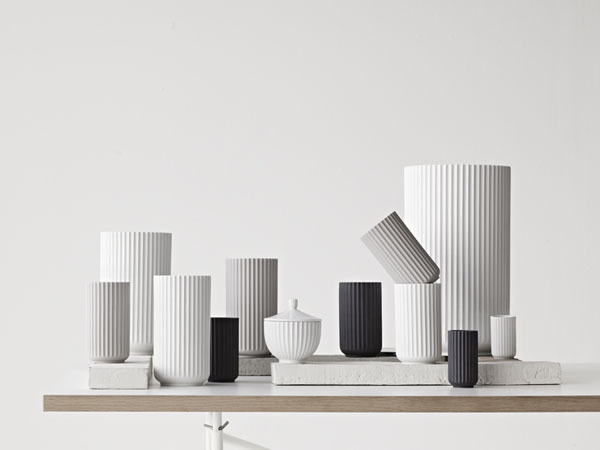 Last year when Porcelænsfabrikken Danmark – Lyngby Porcelæn returned to its roots with the re-launching of the iconic Lyngby vase, the company rekindled interest in porcelain and its potential in modern interior design. Porcelain is at once fragile and striking, old-school and ultra-modern, and the company now introduces a new take on modern porcelain design with the colourful and distinctive Chapeau bonbonnière. Created by the rising design star Milia Seyppel, this dish is named after the French word for “hat”. Chapeau’s poetic idiom, inspired by the classic bowler hat, has a feminine and inviting quality that invites any number of uses. The bonbonnière is a classic design piece that has been part of fine households for centuries, where it has traditionally been used for serving all manner of sweets and delights. With Chapeau, Milia Seyppel pays homage to the original purpose of the dish while placing the well-known design in new contexts, bringing life and aesthetics to everyday situations. The base and lid construction makes Chapeau perfect for both cold and hot treats from the kitchen, where small servings of soup, dressing, dip, tapenade, ice cream and desserts are presented in an appetising and elegant manner at the tip of a hat. The bonbon dish can also be used for storing keys, jewellery and other trinkets, or it can be enjoyed as pure “eye candy” and incorporated into beautiful tableaux in the home. It is also fun to mix and match the bases and lids in different colours to create your own personal look that combines both light and dark nuances.